Prior to our trip to France we stopped in MSP to leave the kids with my folks. Mom and dad have a hobby farm about an hour out of town. As I would be running around and working out of our hangar at the airport my dad let me borrow his spare car. 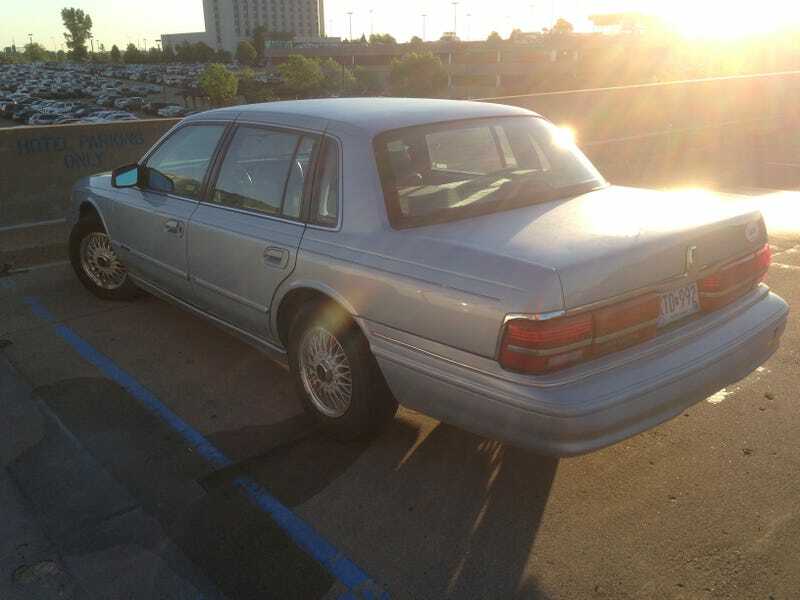 1994 Lincoln Continental. He bought it off a buddy for next to nothing. It has 108000 miles on it. All in all it isn't a bad car. Cruises along at about 25 mpg with its 6 cylinder motor. The thing is the largest car I have ever driven (I've driven bigger trucks), and is a hell of a change from the Evo and MINI. This thing requires a different pace to enjoy.